As Coriolanus begins, two Roman patricians, Menenius and Martius, calm a revolt by the city's famished plebians. Martius, who despises the plebians, announces that their petition to be represented by tribunes has been granted. When Volscian invaders attack Roman territories, Martius helps lead the Roman forces, and almost single-handedly conquers the Volscian city of Corioles, winning the name "Coriolanus." The Volscian leader, Aufidius, swears revenge. Victorious in battle, Coriolanus expects to be made a consul, but by custom he must ask for votes from the plebians. He does this so contemptuously that he is rejected as a consul. The tribunes later charge Coriolanus with treason and banish him from Rome. 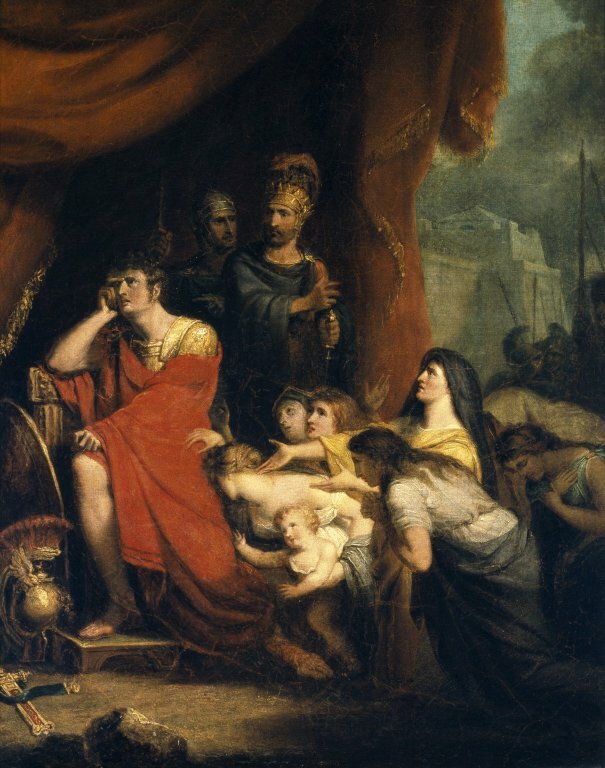 He seeks his former enemy, Aufidius. Coriolanus and Aufidius join forces to conquer Rome. On the brink of success, Coriolanus is persuaded by his mother, Volumnia, to spare the city, though he knows it may cost him his life. Aufidius and his fellow conspirators plot Coriolanus’s death. Coriolanus returns to Corioles, where he is assassinated. Rome honors Volumnia for saving the city. 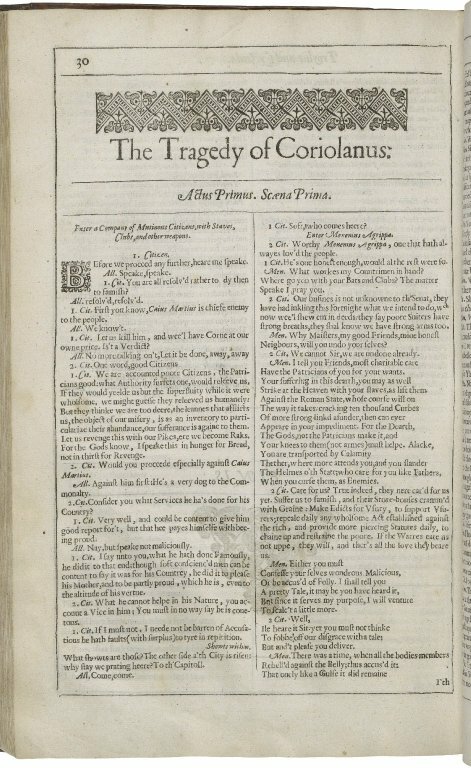 Coriolanus was first published in the 1623 First Folio and that text serves as the source for all subsequent editions of the play. As part of an NEH-funded project, the Folger digitized thousands of 18th-, 19th-, and early 20th-century images representing Shakespeare’s plays. Some of these images show actors in character, while others show the plays as if they were real-life events—telling the difference isn't always easy. 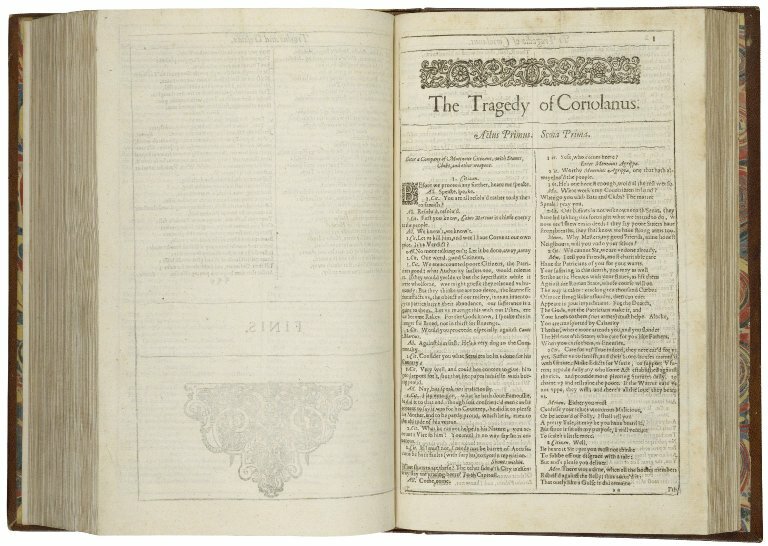 A selection of images related to Coriolanus is shown below, with links to our digital image collection. 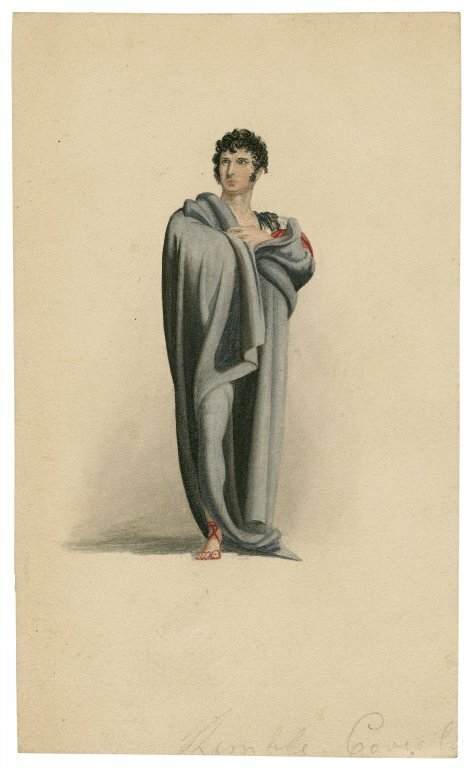 Kemble [as] Coriolanus [in Shakespeare's Coriolanus] [graphic]. 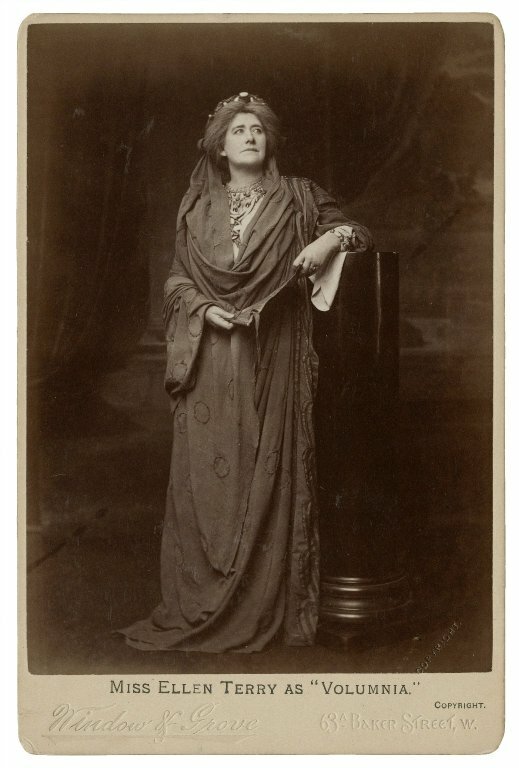 Miss Ellen Terry as "Volumnia" [in Shakespeare's Coriolanus] [graphic] / Window & Grove.